Eternally revered as one of the world’s most precious metals, gold has been a highly sought-after commodity from the earliest of ancient civilisations right through to the modern day. Much of its worth has been built through socially-constructed symbolism rather than via any intrinsic financial value, but the rare metal has nevertheless proven useful in some fields thanks to certain unusual properties. 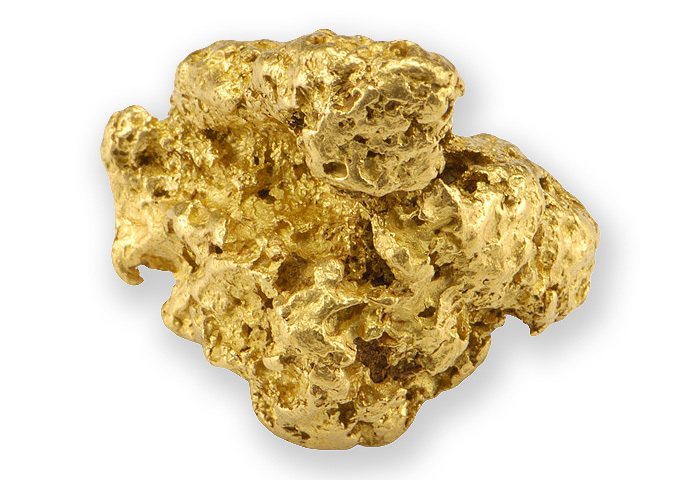 Gold is extremely durable, stable, and for a metal, unusually coloured making it a perfect exhibition of wealth. It holds a strong continuity of value over time, and looks just as beautiful when first laid in a treasure chest as it does 20, 30 or 50 years later. It’s an element that is difficult, dangerous and laborious to mine and rarity has always held a value when it comes to the importance of status within our society. But what about in practical use? We regularly see gold put to good use in the field of electronics, to plate connectors and prevent oxidisation. As a metal, it conducts electricity extremely efficiently (though interestingly, not as efficiently as silver). In dentistry, the metal is valued for its malleable attributes which can be used to easily construct fillings, crowns, and bridges. Its chemically stable nature, makes it a suitable, nonallergenic material which has thus far proven to cause no adverse effects on long-term health. 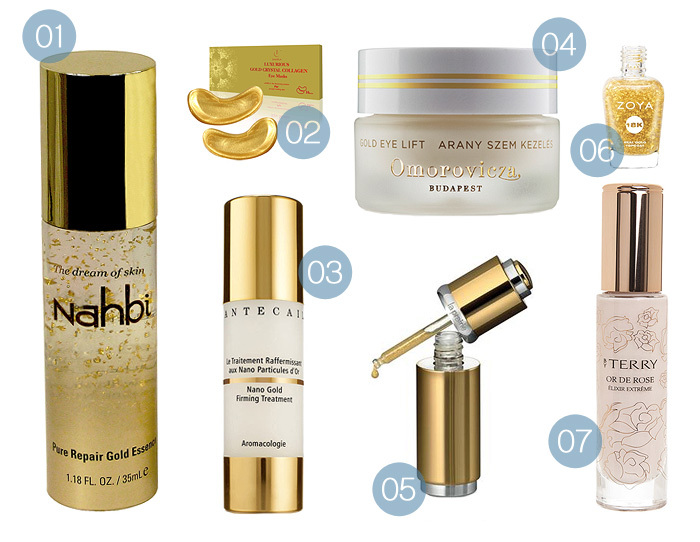 So, the question remains… can the benefits of gold be applied to anti-ageing theories? Scientists and dermatologists are frankly divided on the issue and serious research is ongoing on the potential health benefits of using gold in the fight against cancer and the relief of rheumatoid arthritis. To my mind, there appears to be a somewhat necessary leap of faith in order to believe that something so valued for its chemical inertia can also posess such life-changing, tangible benefits but there’s no doubt that this is one debate that will run and run. Especially while it continues to give cosmetic companies such a wonderfully marketable element of luxury and privilege. What say you? Are you interested in unleashing the power of gold on your skin, hair and nails? OOoh this reminds me of Charlize Theron in the Dior advert. I would love to jump in a bath of gold and come out looking like Charlize. A face mask certainly appeals.. or even the booby mask. Gold boobies be mine! Great piece Charlotte – I’ve never heard of that Hungarian brand but I’m off to Budapest again this summer and am SO lolling around in those thermal waters like I’m some sort of rich spa-attendee. And I want them goldnorks too. GOLDNORKS! Sorry powdered almond^^^. I meant to click your goldnorks up but this stupid touchscreen device and my sausage fingers clicked it down :-(((( SORRY. Gold in skincare is stupid. There, I said it. Not simply because it’s a useless way to add unnecessary cost and luxury, but because it causes sensitizing reactions in many people and literally carries no skin benefits. Added to a product for shimmer value, it might be acceptable, but there are so many ‘miracle ingredients’ that are nothing but hype. I think the nail polish is a cute little luxury, but that’s about it. WIN a charming Perfume Pendant from Esme Jewellery!